DieDreiC is a light installation by the Munich Chaos Computer Club seen on the 25C3, 26C3 and HAR09. 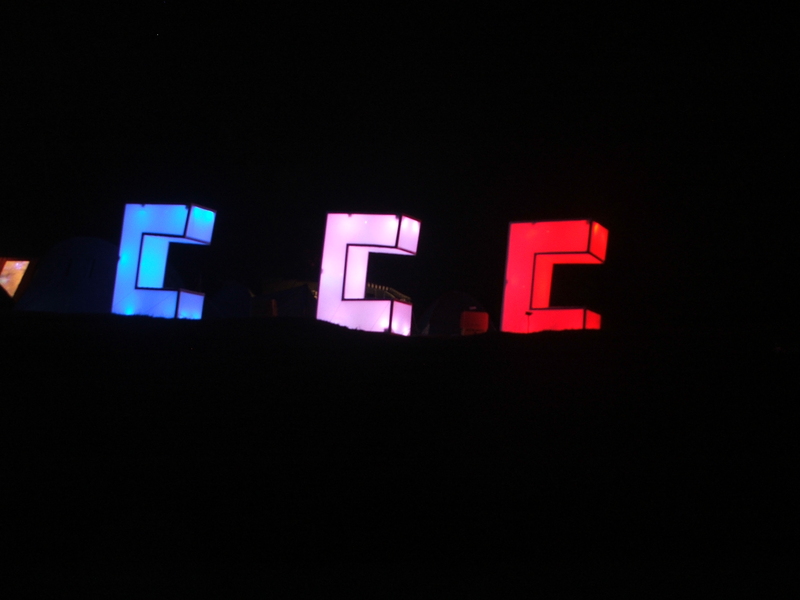 Using thirty software controllable RGB LEDs we created an impressive and beautiful effect at night. I was not involved in the circuit or board layout, but i helped soldering the moodlamps and joined the final build-ups. Additionally i wrote a server software which lets anybody submit their own animations via a website to be queued for playing. More details on the DieDreiC page.